If I may, I would like to follow Esquirette’s lead and induct another television character into the TBTS Movie Character Hall of Fame. I mean, good TV shows are kind of like movies, aren’t they? Just with more parts. Star Trek: The Next Generation is not just my preferred Star Trek series, or simply a go-to Sci-Fi diversion, but my favorite show of any kind ever. As syndicated television tends to do, the station schedule went into the part of their rotation period where that program was shifted off the air temporarily, forcing me to go elsewhere to get some kind of placatory fix until my Enterprise crew of choice headed again to Farpoint Station. What I happened across in the interim was Deep Space Nine. It took a little getting used to, but luckily I came in somewhere around season four or five, so the characters had already been well established and the awkwardness of that first season or two had been surpassed. I became quickly fascinated with the enhanced depth of their holosuites, an advancement of The Next Generation’s holodeck technology, and a product of the further development of the seemingly limitless environments that fictionalized recreational outlet was capable of. 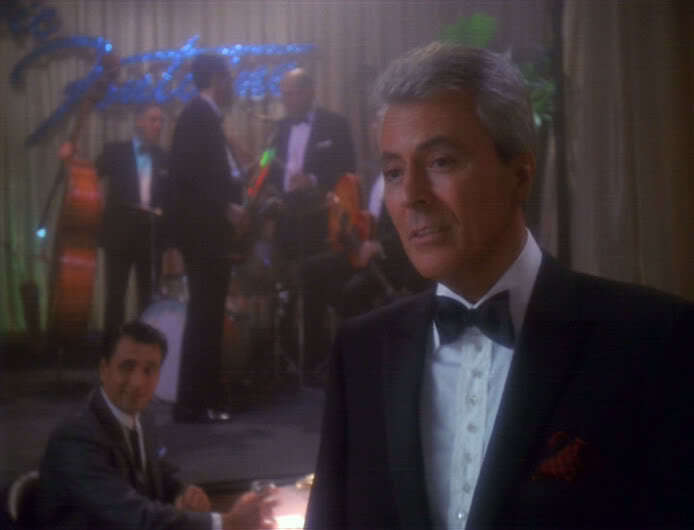 As season six starts to wind down, in an episode appropriately named “His Way,” one of Dr. Julien Bashir’s latest holosuite simulations of an early 60′s Vegas night club revealed something that for me was an amazing stroke of luck: lounge singer Vic Fontaine as played by 50′s teen idol James Darren. Vic is the epitome of cool and an amalgam of a number of Rat Pack era crooners, not the least of which was Frank Sinatra, even going so far as to refer to Frank and Dean Martin in two different stories. Much to my delight, James Darren returned to reprise his role as Vic Fontaine in another seven episodes before the series ended, (eight if you count the mirror universe) and subsequently released an album consisting solely of material he performed on the show called This One’s From The Heart (Concord Jazz). He even appears on the cover dressed as Fontaine. The liner notes of which include a sincere and heartfelt thank you to the makers of DS9. Vic Fontaine? Crazy. From what could have easily been a one shot appearance, Vic became one of the most interesting personalities on DS9. He was a self aware construct and hologram or no, he was the man. Entertainer, counselor, and businessman, Vic always knew the score. 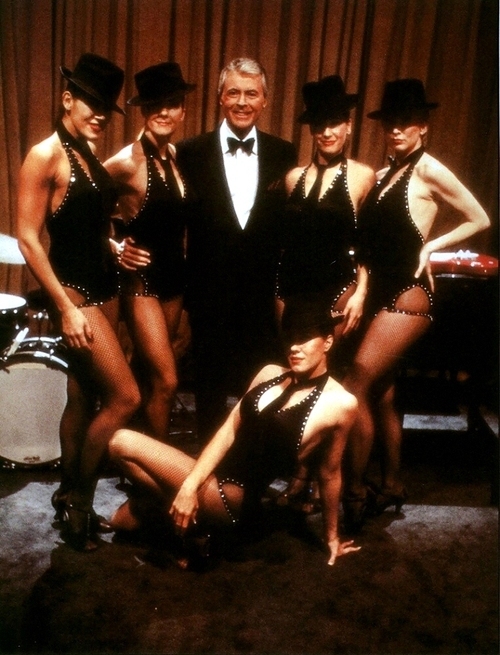 In “It’s Only A Paper Moon” Vic hosted Nog in this fictional world as he recovered from leg replacement surgery after sustaining a traumatizing battle injury. Providing not just an escapist retreat, but genuine understanding. Thereby opening the gateway for Nog’s healing, both mentally and physically. In “The Emperor’s New Cloak” Vic is actually part of the crew in an alternate reality. Having a make believe character realize he is not real, changes the game. It creates an artificial environment with a guide. One that can learn about and connect to its participants in new and unexpected ways. It presents someone that can be viewed as a friend, not just a random collection of photons. So much of a friend in fact that the crew of DS9 teams up to save Vic from a ‘jack in the box‘ buried deep within the program, designed to keep things interesting. In “Badda-Bing Badda-Bang,” the mob moves in on Vic and attempts to oust him from Vegas. The crew devises a plan to rob the casino and thwart the unexpected detour from their normally easy going lounge experience to save Vic. Quite an undertaking for the sake of a hologram. I watch those episodes again and again. I listen to the music and dream about that time. I wait patiently for someone to invent the holosuite. And when they do, I will be heading straight to Vic’s. See you in the funny papers pallies.